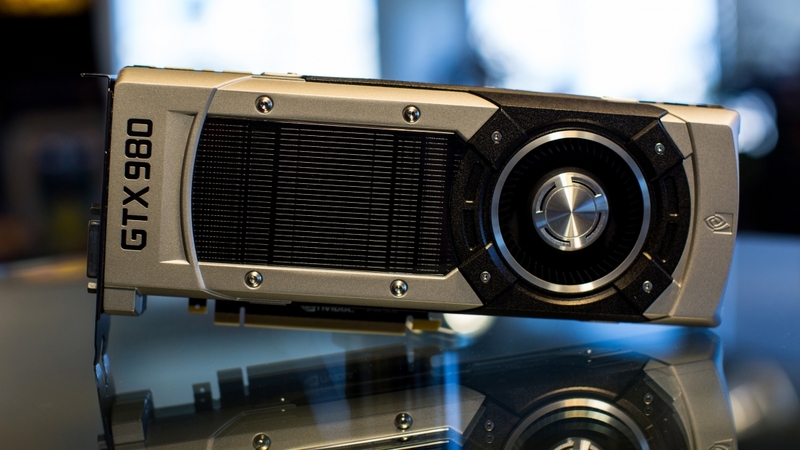 According to a report from TechPowerUp, Nvidia is set to drop the prices of their GeForce graphics cards to present better value throughout the holiday shopping season, and to compete against AMD's line-up. The report suggests that the high-end GTX 980 will drop to $449, down from its current price of around $500, and a $100 discount over its $549 launch price. The GTX 970 will drop to $299, down from its launch and still current price of $329. And finally, the GTX 960 will drop to $179 from $199. There's no word on whether Nvidia will drop the price of their other cards, particularly the GTX 980 Ti, which currently retails for around $650. If the GTX 980 drops to $450, that leaves a pretty significant gap between the two graphics cards, and might make the 980 Ti too expensive for its performance. On the other hand, it would seem strange for Nvidia to lower the price of the GTX 950, which launched just a few months ago at $159. But considering the alleged new price of the GTX 960, it could simply be worth spending the extra $20 on the faster of the two cards. It's not clear when these new prices will come into effect, or whether the report is accurate, but with cards like AMD's Radeon R9 390 competing strongly with the GTX 970 at a slightly lower price point, it might make sense for Nvidia to make some adjustments albeit it could trigger a price war. But hey, the consumer wins after all.